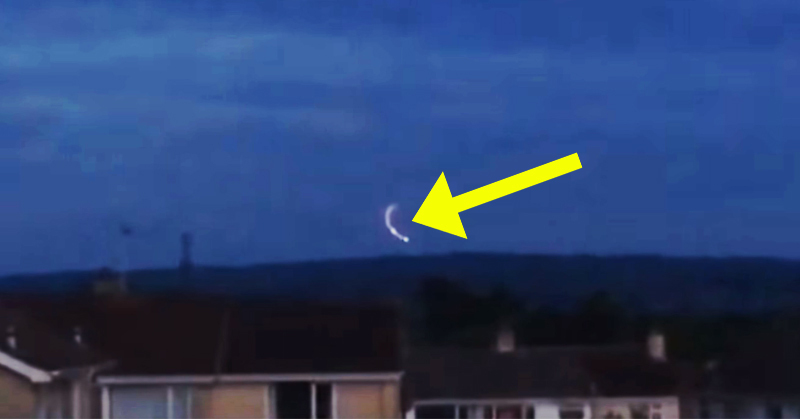 A resident in England has spotted and filmed a UFO hovering over the small town of Warminster, Wiltshire. The video, filmed by a resident of Frome, shows a streak of light circling in the sky near Cley Hill. While the footage is remarkable, this isn’t the first time a UFO has visited Warminster. This area of England has long been a hot spot for UFOs. And the resident who caught the steak of light on video believes the streaks of light could be of an extraterrestrial nature, however, he is on the skeptical side.